Sometimes in the planning of a building, road / transportation facilities and other physical buildings are faced with geographical condition of sloping land or slope. The slope is a sloping ground and forms a certain angle to a horizontal plane. There are two soil surfaces of different altitudes, so there will be forces pushing so that the higher ground position tends to move downwards called the gravitational potential force causing the landslide. Thus, the stability of existing buildings on it is highly dependent on the stability of the slope below it. That is, although structurally above the building is safe, but if the condition of the land that supports it is prone to landslide, it will result in the building becomes prone to collapse and unsafe. The geographical condition of this sloping slopes can generally be found in hilly areas and riverbanks. Therefore, before the building is built on it, the slopes or sloping conditions should be stabilized to avoid landslides during the life of the building. 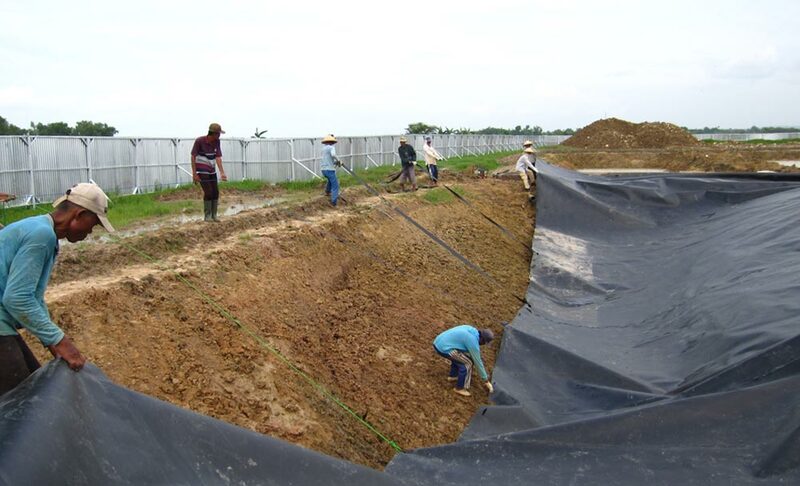 In the maintenance of good slope stability, especially in riverbanks, one needs to be made of reinforcement of earth using geotextile, as you can see in https://www.maccaferri.com/my/products/geotextile-mactex/. In general the main objective of a slope stabilization is to be able to provide competence for a safe and economical construction plan. One form of reinforcement is to use geotextile. Geotextile application in the case of slope reinforcement that can increase the slope stabilization. The use of this geotextile as a replacement of the retaining wall function is easier in the implementation of its construction and does not have a big risk in the event of structural deformation. Factors affecting the stability of the slope to encourage the movement of the slope of the topography, geological conditions (lithology and geological structure), hydrology, vegetation, soil characteristics / slope cover rocks, earthquakes and climate. Avalanches occur because the increasing ground shear is no longer able to be retained by the soil. Increased shear stress caused by increased slope load (building and embankment at the top), loss of lateral support (cutting and excavation on slope foot), changes in water level adjacent to a sudden draw down, increasing lateral stress (Crevice cracks filled by water), and due to earthquake loads that occur. In addition, under certain soil conditions, it is also due to the ability to retain shear by decreasing soil due to the infiltration of rainwater into slopes, uncontrolled flow of water in drainage, earthquakes that cause pure water pressure), development of clay soil, weathering and Degradation of chemical properties as well as progressive collapse due to weakening of shear stress. Geosynthetic is a manufactured product of polymer materials used in systems or structures related to soil, rocks and other geotechnical engineering. Materials used for geosynthetic fabrication are generally produced by plastic industries such as polymers, rubber, fiber-glass, and natural materials that are sometimes in use. Geosynthetic experts define geosynthetic as a generally sheet-shaped material made of synthetic polymers, such as Polypropolin, Polyester, Polyethylene, etc., which is used to solve the problems faced by soil-related constructions. Geotextiles consist of two types: woven geotextile (woven geotextile) and nir-woven (non-woven geotextile). In general, woven geotextiles have high tensile strength and modulus, low elongation or elongation properties. The retrofitting function in geotextiles can be translated as a reinforcement function, such as the term on reinforced concrete. The ground only has the power to withstand press, but can not withstand tug. The drawback to this attraction is met by geotextiles. Geotextiles that have the ability to withstand tugs can provide reinforcement in the form of reinforcement in various forms. This material can be placed under a pile built on soft soil, can be used to build a retaining ground, and can also be used for retrofitting of pavement materials and their ground soils.